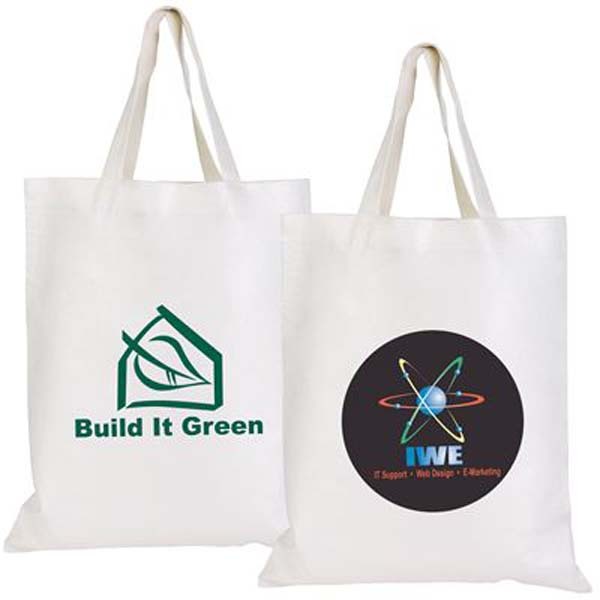 For the environmentally conscious, we have promotional bamboo bags. Bamboo is a completely sustainable material that regenerates quickly (meaning that it is unlikely to ever be in short supply), plus the bags are biodegradable – once you’re done with them, you can put them in the garden waste bin or even compost them in your backyard. If your business is serious about their commitment to sustainable practices, this is the marketing tool for you. When you’re concerned with the environment, using as few dyes as possible is a must. This is why our custom bamboo bags generally come in white with your logo or marketing message printed on only one side. The double effect of this is that your branding will really stand out to passers by. Choose long handled bags so that you can sling them over your shoulder, leaving your hands free for other tasks. Or choose short handled bags if you’re happy to carry them in your hands or will be carrying heavier items. 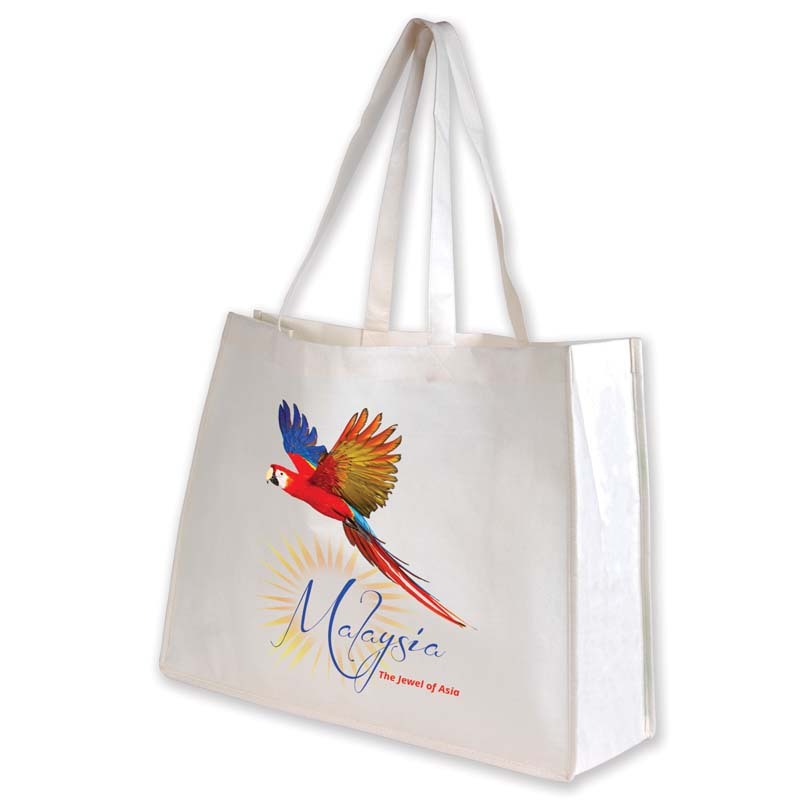 Personalised bamboo bags will say a lot about your business, most notably that you have a strong commitment to practices that minimise your impact on the environment. 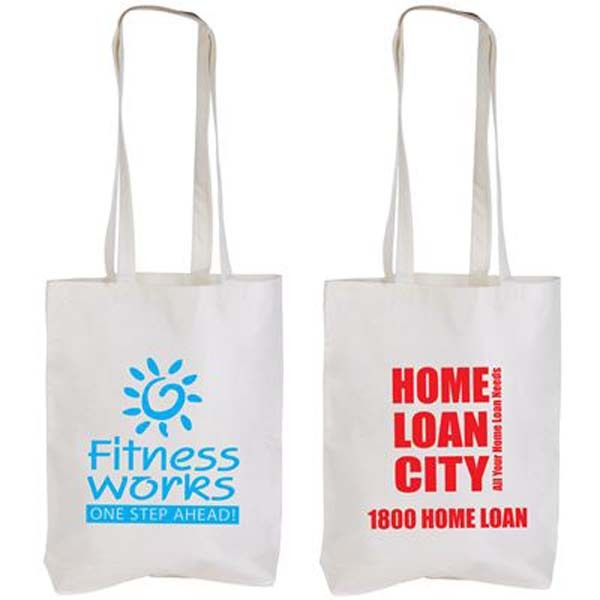 To ensure that they spread the right message, choose between having your logo printed or embroidered onto the front.